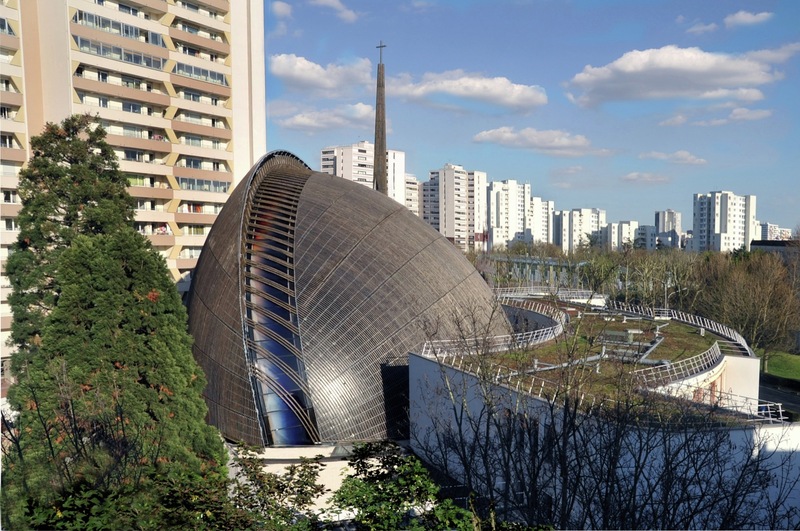 Home > Europe > France > Cathedral of Créteil Extension: UFO or Just Innovation? It seems like Paris has not much to offer, besides the Eiffel tower and romantic dinners. 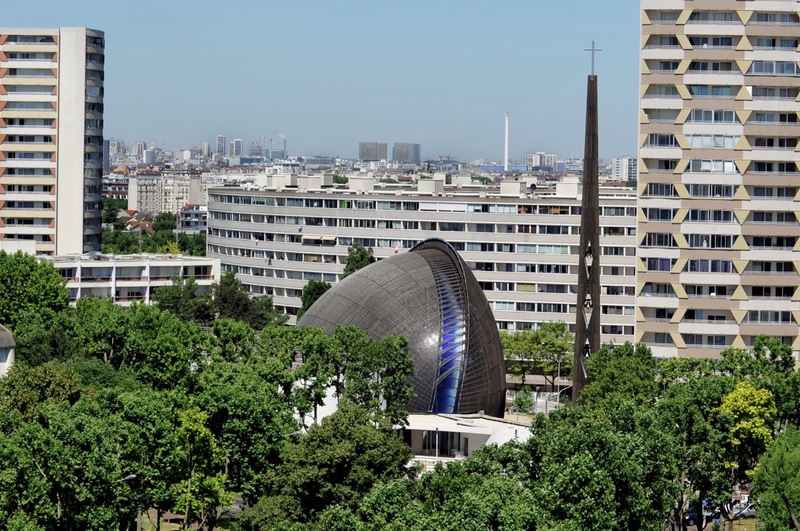 But, somewhere close to the Seine river, hidden between the buildings, a strange shape rises from the ground, that looks like an UFO has just landed on Earth. 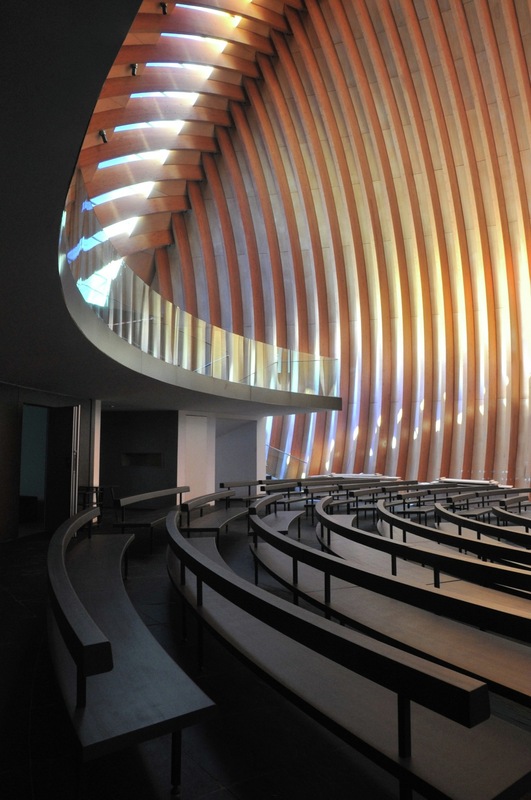 Although it may not seem anything like a cathedral, that’s exactly what it is: Cathedral of Créteil extension. The architecture of the building is actually, based on the classical arrangement of a religious site. The dome pointing towards the sky, replicates the footprint of the original cathedral. 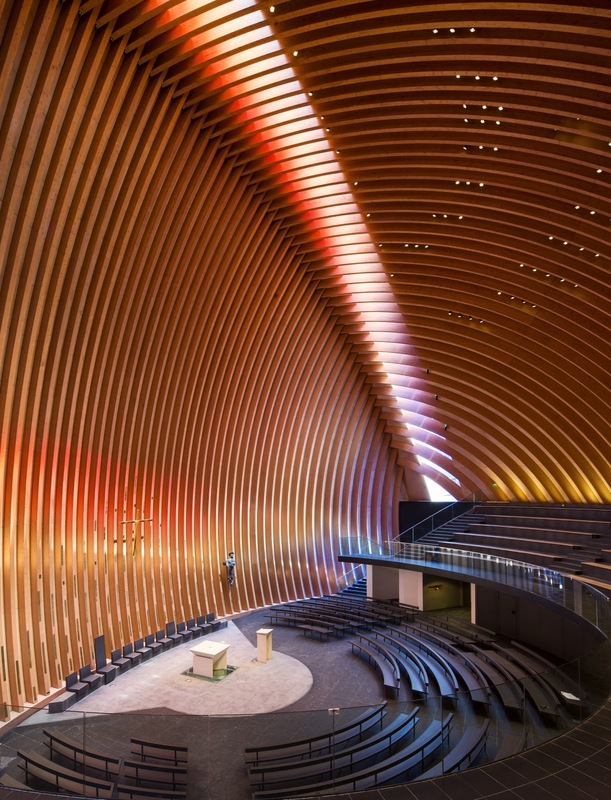 During day time, the window located at the junction of the hulls offers a colored light into the sanctuary. After the sun sets, it is illuminated from the inside and creates a reflection of The Christian Cross. 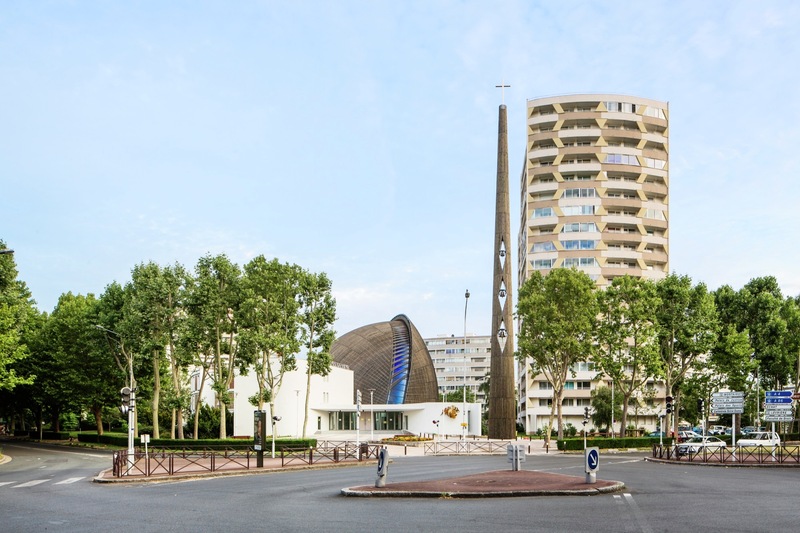 Although quite unusual and unique, the new extension of the Cathedral of Créteil is gaining popularity among tourists,who wish to take a detour from an usual sightseeing route.